Architect Robin R. G. Franks of Smith & Pickel Construction will speak on “Gender & Communication in the AEC Industry”. Speaking from her years of experience in the construction industry, Robin will share tips on how you can be more effective in communicating in meetings and on the job site. This will be an expanded version of the brief talk she made at the September AIA luncheon. Robin R.G. Franks, AIA is a licensed architect who has served in the AEC industry for over 20 years. She holds an undergraduate degree in Architecture with a minor in Communication and a graduate degree in Construction Administration. 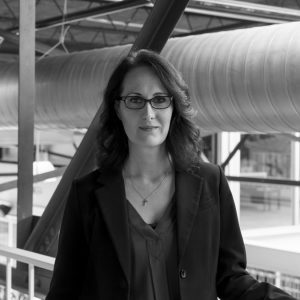 Robin currently works for Smith and Pickel Construction as a Project Manager and Design Architect. She is passionate about facilitating a collaborative approach to projects and the profession, championing an integrated project leadership process. She is keenly interested in empowering other individuals to improve communication and leadership abilities to encourage an elevated performance within the AEC industry as a whole. Thank you again to our lunch sponsor, Wallace Engineering! Women in Architecture is open to our AIA, Associate AIA and Allied members. Register by emailing to aiacoc@cox.net.